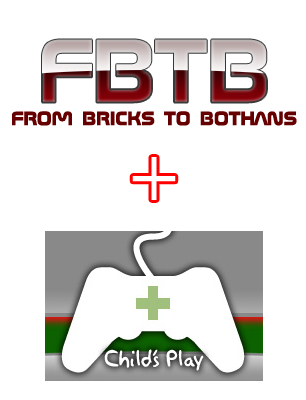 Support FBTB 2009 Charity Drive ! Support FBTB 1st Annual 2009 Charity Drive. All raffle tickets 100% proceeds will now go directly in supporting the charity with your donation. Tickets are $2 each and you have a chance of winning great stuff including a Chrome C3-PO ! FBTB will be holding a raffle where you could win 8038 The Battle of Endor plus a bunch of chrome figures and other goodies. Each ticket costs a mere $2.00 USD. 50% of the first 100 donations will go towards the cost of the set and the other 50% goes towards the charity. After the first 100 donations, 100% of the donated amount will go towards the charity. For complete details, and to make your donation, CLICK HERE ! Next PostNext [USA] More Black Friday Deals !